Easter is only a few days away and Summer is not far off, with Leisure Cooker you can really spring into thing's and create some divine cuisine, it's the perfect kitchen companion. Scrumptious starters, mouth watering mains and tasty deserts, the perfect way to entertain as well as spend time with loved one's through food. With the help of Leisure Cooker, we've put together some really fantastic, tasty treats for you to try yourselves. Try the menu of crab cakes with sweet chilli lime mayo for starter - divine with a sweet kick followed by tender roast garlicky lamb with boulangere potatoes for main, with all the trimmings and a tasty sweet treat rhubarb, orange and almond cake for desert. In a bowl, mix crab, mashed potato, onion, coriander, lime zest together and season to taste. Divide into 8 balls and on a floured surface or plate, flatten into patties. Next dip into beaten egg and then breadcrumbs. Refrigerate for 30-60 minutes until firm. Heat oil in a large frying pan over a medium heat. Fry the crab cakes until golden brown, turning over once. Mix the mayonnaise and lime together and swirl in the chilli sauce. 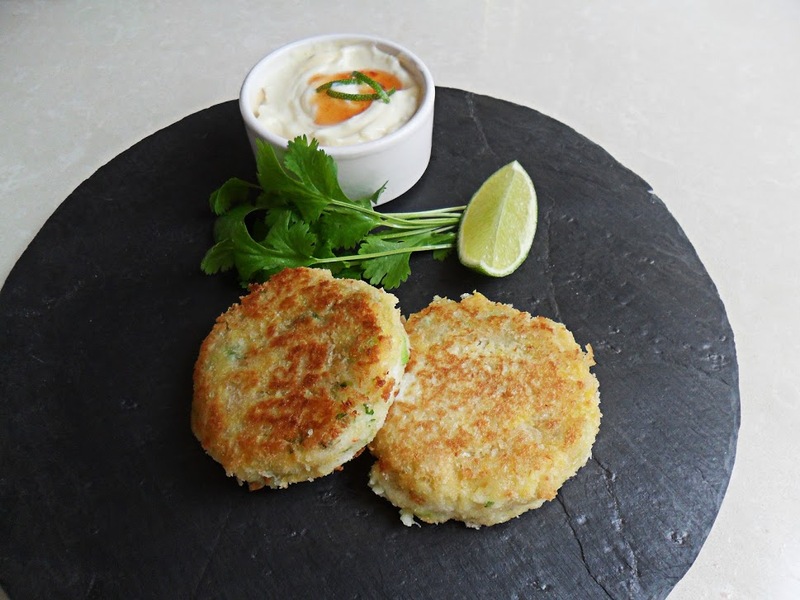 Serve the cakes with the sweet chilli lime mayo for dipping. Pre-heat the oven to 190ºC/170ºC fan /gas 5. With a sharp knife, cut deep slits into the skin and flesh of the lamb. Insert a slice of garlic and sprig of rosemary, or thyme in each slit. Season with salt and pepper. Peel and thinly slice the potatoes, rinse in cold water, drain and put into a large ovenproof dish or roasting tin. Toss with the onions, any remaining slices of garlic and herbs. Season to taste and arrange in a layer. Pour over the hot stock. Cover with foil. Cook on shelf level 3 or in centre of oven for 15 minutes. 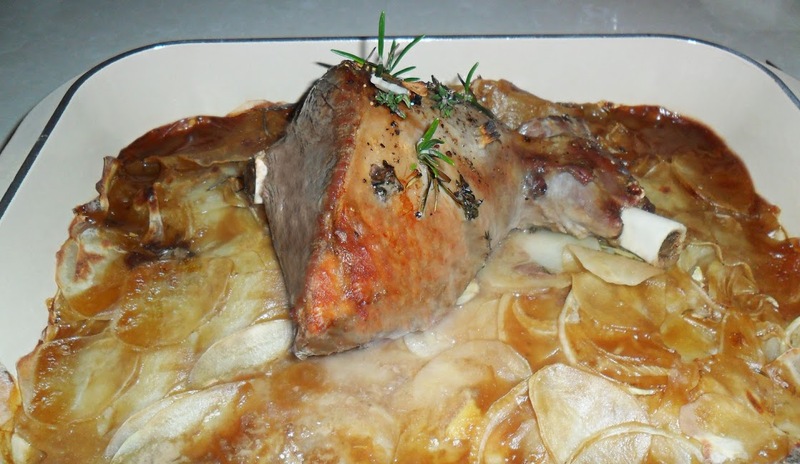 Place the lamb on top of potatoes and cover with foil. Bring a pan of water up to the boil. Add salt and greens, cook for about 5 minutes or until cooked. In a mixing bowl, place all the remaining ingredients except for the flaked almonds. Using an electric mixer, beat cake for 2-3 minutes. Spoon mixture into prepared tin and smooth top with a spoon. 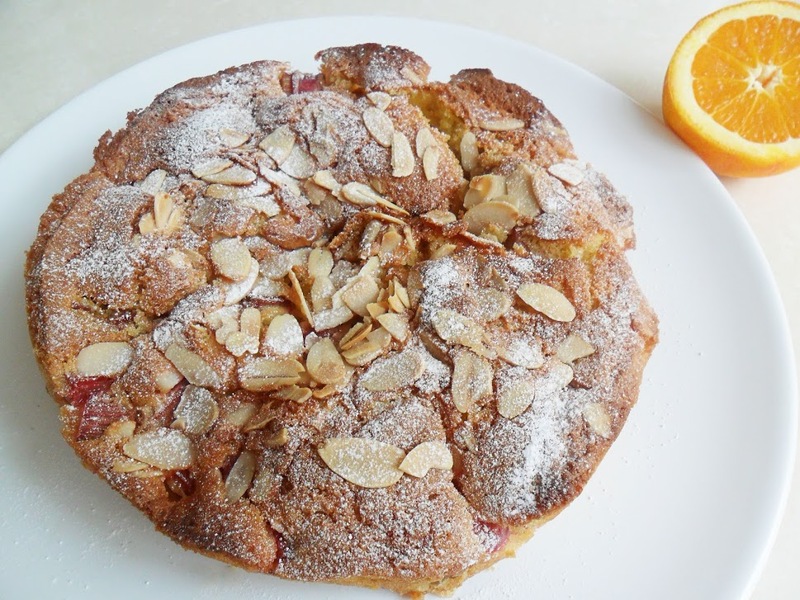 Sprinkle over rhubarb, juices and flaked almonds. Put tin on a baking tray and bake on level 3 or in the centre of oven for 20 minutes, then reduce temperature to 180ºC/160ºC fan /gas 4 and cook for a further 25-30 minutes or until firm. ( Insert skewer or sharp knife in centre and if it comes out clean the cake is cooked.) Rest in tin for 10 minutes before turning out onto a serving plate. Dust with icing sugar. Serve warm with custard or crème fraîche. I hope you found some Easter inspiration for creating a mouth watering feast. I was contacted regarding this post, however, I wasn't compensated in anyway.